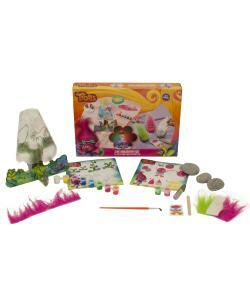 Make your own Trolls bedroom lamp and set of Trolls stone figures with this great 2 in 1 creativity set by Totum. Light up your bedroom with your own designed Trolls night lamp. 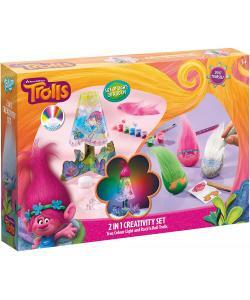 To make the Troll figures choose one of the three coloured stones and use the supplied paints, Troll hair and stickers. Get creative and mix different colors and glitters with each other.